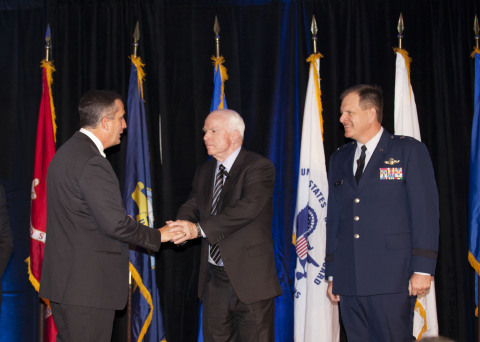 (BUSINESS WIRE) — November 7, 2014 — Today Intel CEO Brian Krzanich and Senator John McCain honored the service and sacrifices of our active military employees and their families, as well as Intel veterans at a Veterans Day Celebration in Chandler, Arizona. During the event, Employer Support of the Guard and Reserve honored two employees with Patriot Awards. Intel also received the Extraordinary Employer Support Award.